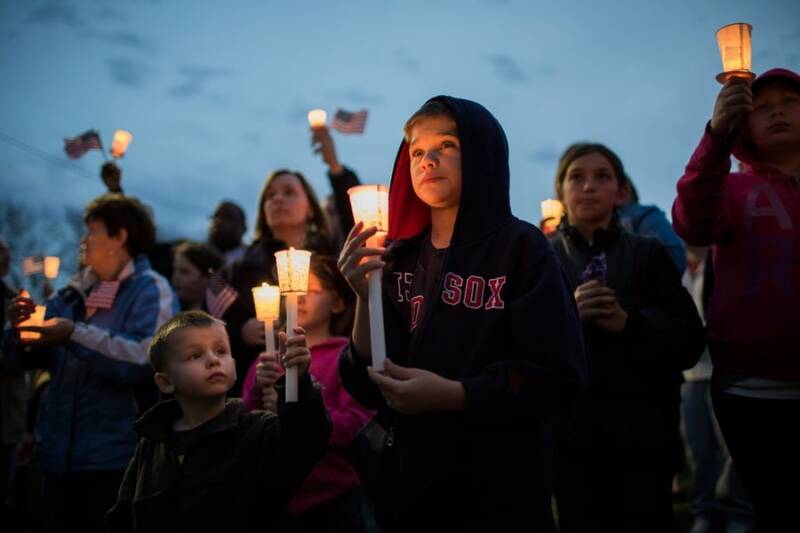 Cousins Conor Gillis, 4, left, and Ben McCormick, 8, take part in a vigil on April 16, in Dorchester, Mass., for the victims of the Boston Marathon bombing. 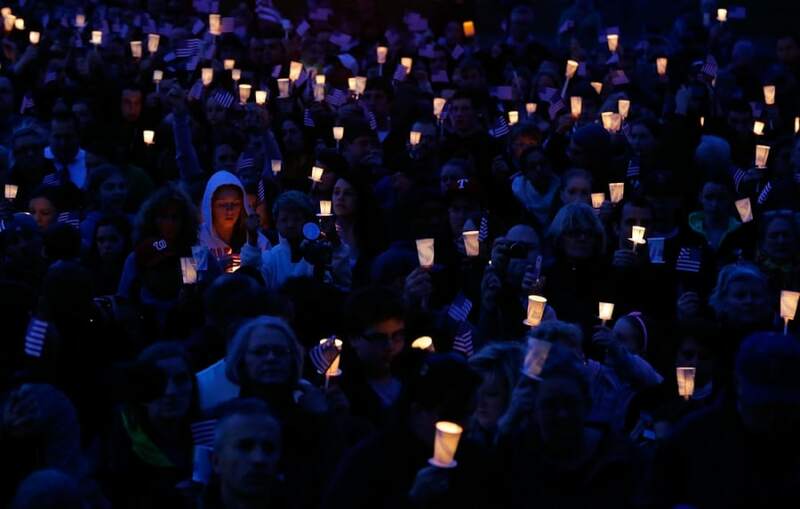 People gather with candles during a vigil for eight-year-old Martin Richard, from Dorchester, who was killed by an explosion near the finish line of the Boston Marathon on April 16, at Garvey Park in Boston, Massachusetts. 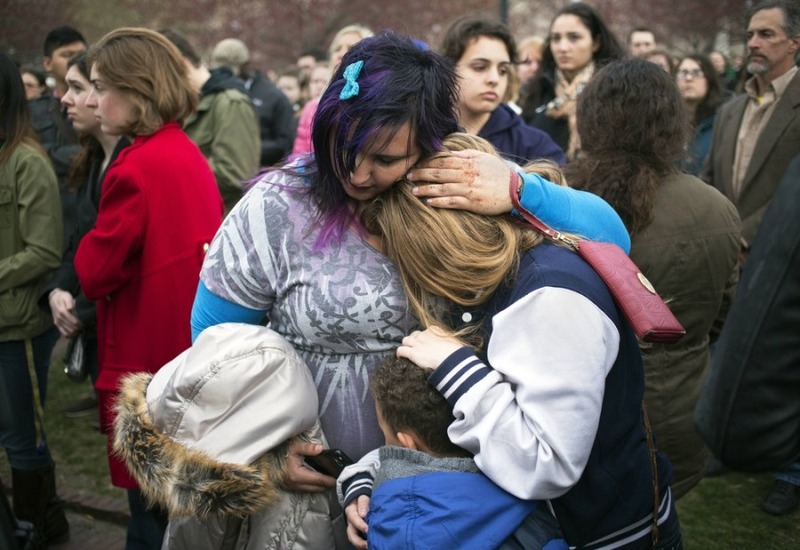 People embrace during a vigil honoring the victims of the Boston Marathon bombings at the Boston Common in Boston, Mass., on April 16. 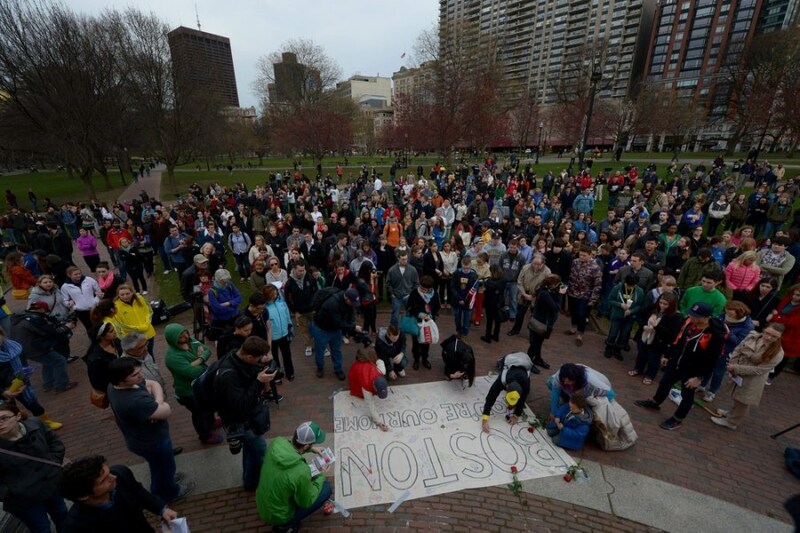 People gather for a vigil on Boston Common as an investigation continues into dual bombings at the finish line of the Boston Marathon in Boston, Mass., on April 16. 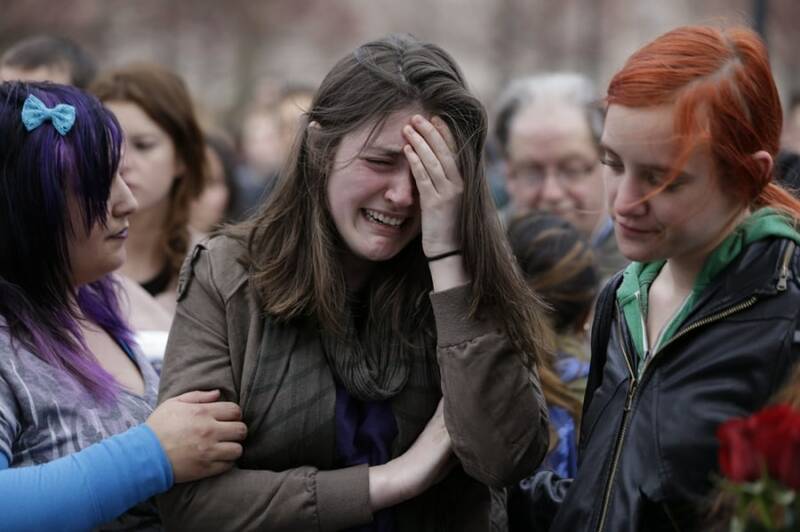 Emma MacDonald, 21, center, cries during a vigil for the victims of the Boston Marathon explosions at Boston Common, April 16. 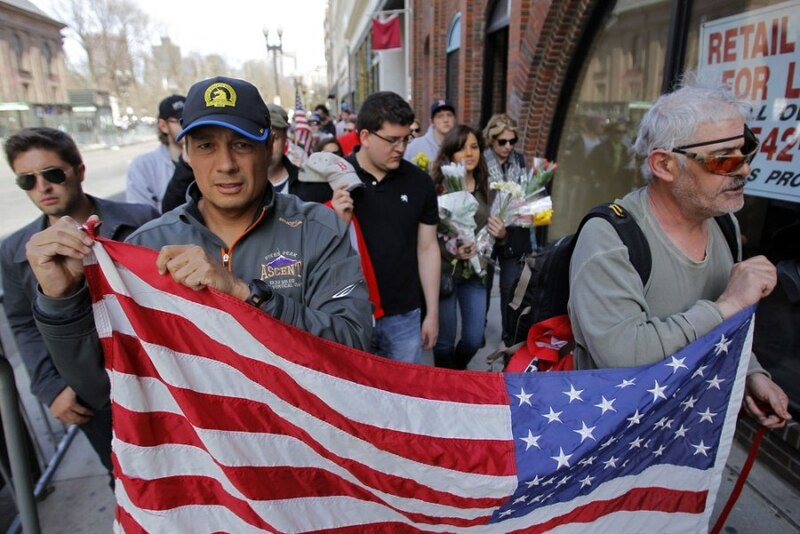 People move items from a vigil after the barricade they were hanging on was taken down and a portion of Boylston Street reopened a day after two explosions near the finish line of the Boston Marathon in Boston, Mass., on April 16. 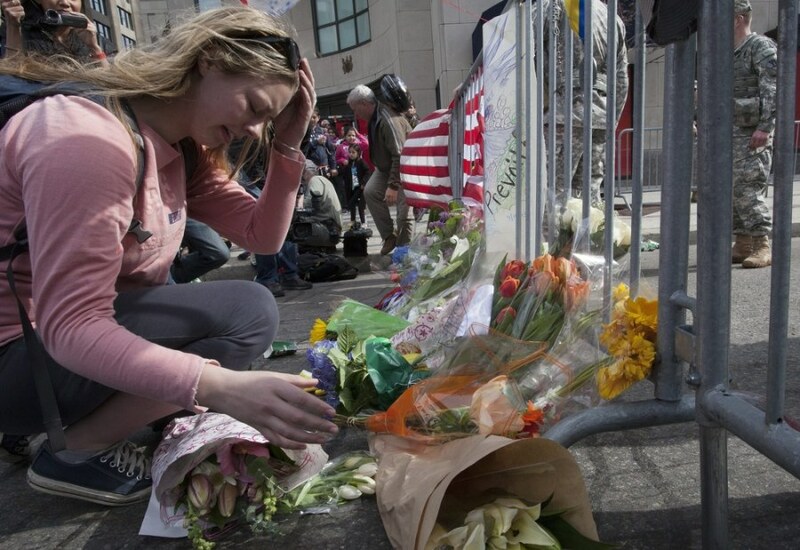 A woman places flowers at a barricade which has become a memorial site on Boylston St. at Berkeley St., a few blocks down from the two bomb sites in Boston, Mass., on April 16. 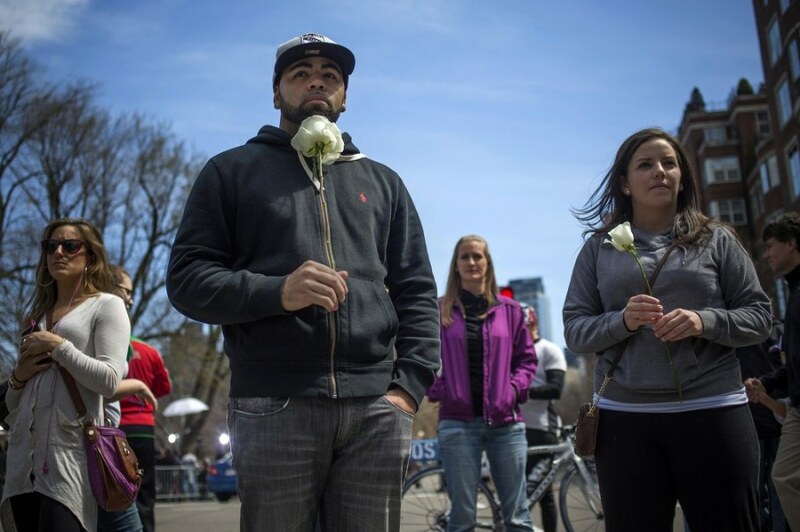 Aaron Jasper, left, and Jackie Pickering hold flowers outside the barricaded entrance at Boylston Street near the finish line of the Boston Marathon in Boston, Mass., on April 16. 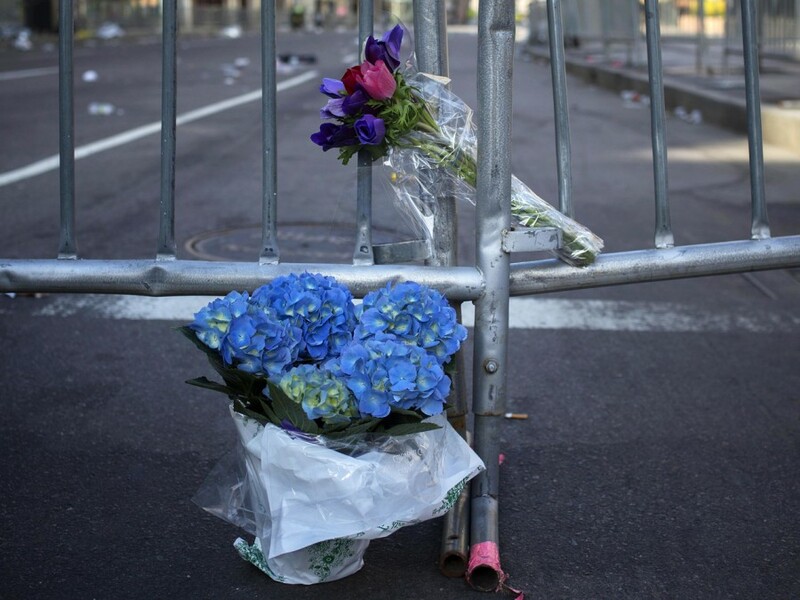 Heightened security, empty streets, and memorials mark the the day after the Boston Marathon bombings.